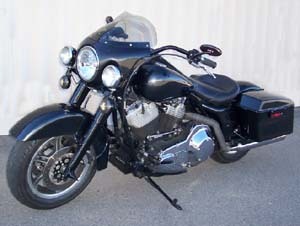 Unique custom fairing for baggers! 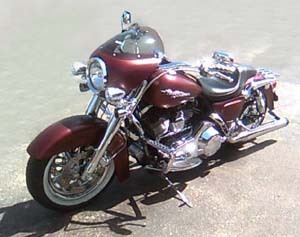 Custom cafe fairing for Road Kings. 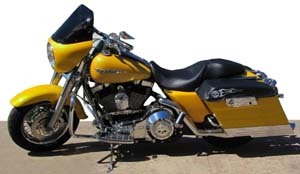 Made from hand laid, vacuum bagged fiberglass with polished stainless steel or Black powder coat brackets. 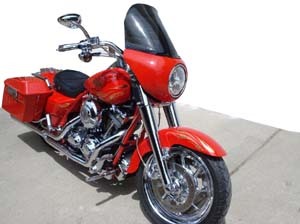 Individually painted, base coat, clear coat system, color sanded and machined polished to match your stock Harley Paint. Custom paint also available. 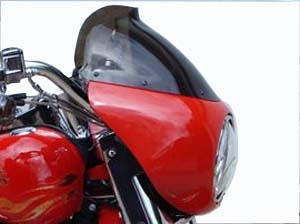 This fairing and windshield is designed to create a smooth airflow. 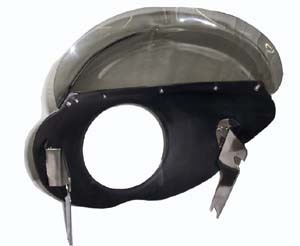 Mounts on your stock Harley windshield grommets. 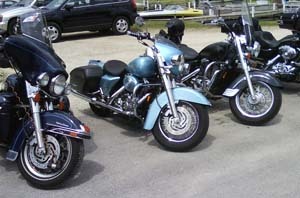 Comes in four different versions to fit all Road Kings. Custom made easy bolt on product. 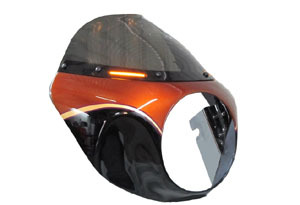 Note: Fairings take up 6 to 8 weeks to complete and ship. 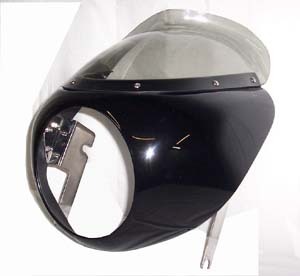 All our fairings are a custom handmade product. Painting alone takes a few weeks. 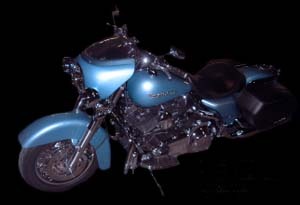 Paint goes through several stages after the fiberglass and bodywork is completed. The fairing is primed, sanded multiple times and then 3 coats of color are applied. Between each coat of color, multiple sanding and buffing is done. Then the paint has to cure prior to waxing and shipping. GP-01S: Primed with polished stainless steel brackets. Does not surround running lights. GP-01S-S: Same as above but surrounds running lights. GP-01B: Primed with black powder coat brakets. Does not surround running lights. GP-01B-S: Same as above but surrounds running lights. GP-01SP: Painted with polished stainless steel brackets. Does not surround running lights. GP-01SP-S: Same as above but surrounds running lights. GP-01BP: Painted with polished stainless steel brackets. Does not surround running lights. GP-01BP-S: Same as above but surrounds running lights. Note: Above parts with -BS are the same part but with a short Bubble Shield, instead of standard short shield. 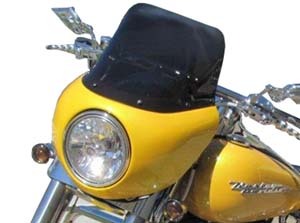 Cafe Fairing with Tall Windshield: Same part numbers as above but with the suffix -T, for taller windshield. 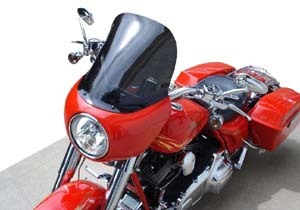 Replacement Windshields: CWS-S short windshield, CWS-T tall windshield or CWS-B Bubble windshield.